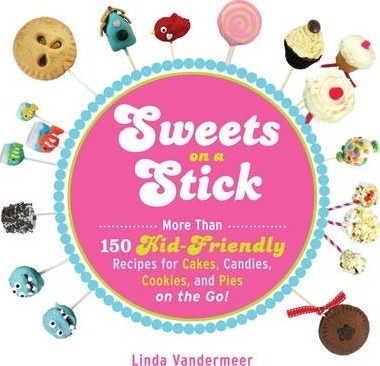 Sweets on a Stick : More Than 150 Kid-Friendly Recipes for Cakes, Candies, Cookies, and Pies on the Go! What's better than dessert? Dessert on a stick! And now kids can get in on the fun with these scrumdiddlyumptious dessert recipes! Whether it's cake pops or candied fruit, this book offers a variety of treats to satisfy everyone's sweet tooth such as Mini Boston Cream Pies, Fudge Blasted Brownie Bites, Gooey Caramel Candy Apples, and Deep Freeze Chocolate Bananas. With full-colour photos and step-by-step instructions, this book is guaranteed fun for the whole family.